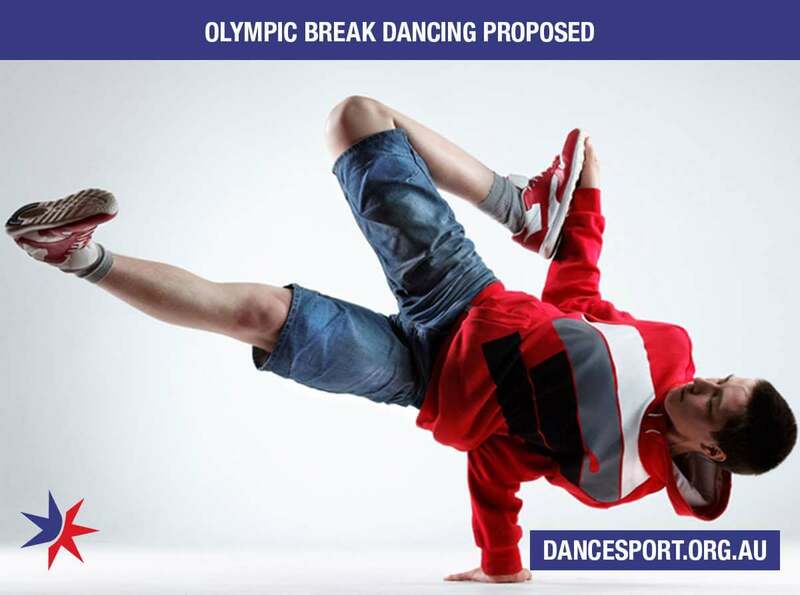 The WDSF announced that Breaking (break dancing) has been proposed to the International Olympic Committee (IOC) for inclusion on the sports program of the Olympic Games for Paris 2024. There is huge worldwide appeal and growth in Breaking. In 2018, at the Youth Olympic Games in Argentina, Breaking had three medal events. Nearly 90,000 people attended the games each day to see the competition. Skateboarding, sports climbing and surfing will be included in the next Olympic Games in 2020 in Tokyo – and they may reappear in Paris 2024. Read the WDSF press release. Email from WDSF below with links to media articles. The announcement on 21 February that Breaking had been proposed by Paris 2024 for inclusion on the sports programme for its edition of the Olympic Games resulted in a flood of positive support from both the Breaking community itself as well as the DanceSport world at large. The media coverage of Breaking and DanceSport since the announcement has quite simply been unprecedented. Never in the history of the World DanceSport Federation (WDSF) have we received so many media requests for interviews or had so many articles written about our disciplines. Never before have we seen the amount of traffic to our websites and social media platforms. The eyes of the world are clearly upon us and we are proud of the way the DanceSport community has come out in support of the news, which is already benefiting our members around the globe. Many of you shared with us that you and your partners in the Breaking community have been contacted by local/national media following the announcement for Paris 2024. I would like to thank you for your excellent work in promoting our disciplines. The Executive Board of the International Olympic Committee (IOC) will now consider the proposal for additional sports from Paris 2024 at its meeting from 26-28 March. Should Breaking make the cut, the proposal will then go to the full IOC Session for a vote at their next meeting in Lausanne from 24-26 June. In the meantime, the WDSF will remain steadfastly focused on delivering all our many events worldwide, in close collaboration with our valued NMBs. Regardless of what the IOC decision on Breaking will be, the proposal from Paris 2024 can only be seen as a fantastic achievement for DanceSport as it has brought a welcome and deserved spotlight to all our disciplines, our incredible dancers, and everyone who works day in and day out for the benefit of DanceSport. As a demonstration of the media interest from just the first two days following the announcement, please find as an annex some articles from around the world sharing the news about DanceSport. And that has continued every day since! And attached is a press review provided by our French NMB (Fédération Française de Danse) to illustrate the positive impact generated by the announcement for their Federation in France. Let’s keep this momentum and the positive energy!